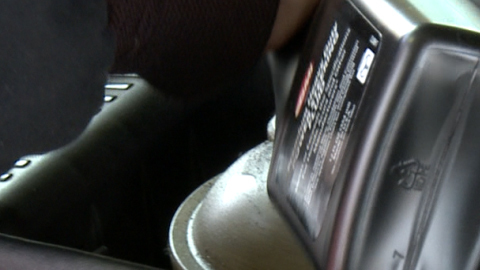 Brake fluid is one of those vital maintenance items that’s easy for GRAND ISLAND motorists to miss. For one, it doesn’t have to be replaced that often and when it should it’s ordinarily not as well-defined as, say, an oil change. Brake fluid does become contaminated over time, however, and needs to be replaced before damage is done. Two of the most common contaminates in brake fluid are water and copper. Brake fluid is hydroscopic – meaning it attracts moisture. Over several years it can actually build up a fair amount of water. Too much water in the brake fluid generally causes a couple of problems. First, water can react with brake system components and cause rust corrosion which can lead to leaks. Second, the water could boil. Out by the calipers, brake components can get very hot. Water in the brake lines in that area can turn to steam which doesn’t compress like brake fluid. That can really impair stopping power. It may seem strange to talk about testing for copper in brake fluid. What GRAND ISLAND auto owners may not know is that the steel brake lines (hoses), are actually lined with copper. The copper prohibits the brake lines from rusting due to the water that collects in the fluid. As brake fluid heats and cools, some of the copper lining ionizes and flows around in the fluid. This can lead to two potential problems. First, if enough copper comes off the lining, the steel in the lines is unprotected and can corrode. Second, the copper ions floating around are “looking” for some metal to bond with. This leads to copper plating in some sensitive areas like the anti-lock brake module which can hurt its function. Ask your Whitaker Auto Repair service specialist if it’s time to test your brake fluid and inspect your brake system. We can make sure your brakes are up to their important job. 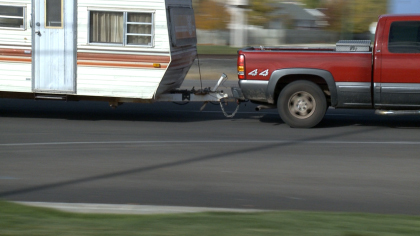 Most GRAND ISLAND motorists try to take real good care of their vehicles. But there is something that they may be overlooking: wheel bearings on their trailers. Whether it’s a small utility trailer or toy hauler, up to a big work trailer, boat or camp trailer, they all have wheels with bearings that need to be serviced from time to time. Trailer wheel bearings allow the wheel to spin freely. They are packed in heavy duty grease that can withstand the heat generated by the spinning wheel and keep protecting the bearings. When your Whitaker Auto Repair technician services the bearings on your trailer, he’ll remove the wheel bearing assembly and survey the bearings themselves. If they are damaged or corroded they will be replaced. He will then pack fresh grease around the bearings, replace the seals, and put the wheel back on. GRAND ISLAND car owners actually expect a lot from trailer bearings. They may sit unused for an extended period of time – but when we hitch up that trailer we need the bearings to be in top shape to meet the demands of NEBRASKA highway miles, heavy loads, and even very dirty conditions. A bearing failure will sideline the work or fun you had planned. Excessively worn bearings may result in uneven tire wear. Wheels can wobble which may hurt handling. Extremely worn bearings can even seize, causing the wheel to lock-up: obviously that can be detrimental for GRAND ISLAND car owners. Boat trailers require special attention. The bearings are quite hot after a trip to a Grand Island area lake and then you back into the cold water. The extreme temperature difference draws moisture into the bearings and forces out some of the grease. It’s vital for GRAND ISLAND drivers is to have their boat trailer bearings serviced at the end of the season so that they don’t rust during the winter. Talk with your experienced Whitaker Auto Repair service specialist about your trailer and how you use it. He can recommend the proper Whitaker Auto Repair bearing service. Disc brakes are called disc brakes because of the big metal disc – or rotor – that spins with the wheel. 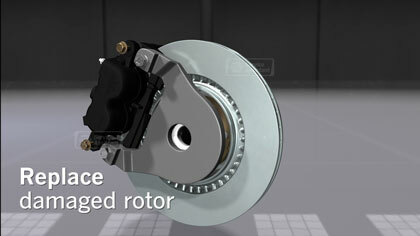 The brake pads rub against the rotor to slow the vehicle. In technical terms, the motion energy of the moving vehicle is transferred into heat energy by the brakes. The vital job of the rotor is to absorb that heat and dissipate it into the atmosphere. To do that effectively, the rotor needs a certain amount of mass (measured by the thickness of the rotor) and a good surface to mate with the brake pads. Let’s talk about those two essential things. Next in our consideration is the rotor surface. Now this is not just about the quality of the rotor’s surface, but also about how evenly the brake pad sweeps the rotor. Several things can affect the “swept area” of the rotor. A common problem is a scored – or scratched – rotor. When brake pads wear past the point in which they should be replaced, metal parts of the brake can come in contact with the rotors and grind grooves into the rotor. Imagine putting new brake pads on a scored rotor. The pad would only contact the ridges. This can significantly reduce the contact area and curtail braking performance. When a rotor has been scored, it may be able to be resurfaced on a brake lathe which smooths the surface. If the rotor is not thick enough to be resurfaced, it must be replaced. Another common rotor problem for GRAND ISLAND motorists is something called run out. This is when the rotor is slightly off axis (crooked) so the brake pads do not contact the rotor fully and evenly. Run out is measured in thousandths of an inch, so we are talking very small variations that can affect braking. Run out can be caused by a bit of dirt or rust between the brake rotor and the wheel hub, or even by slight variations in the mating surfaces of the brake and hub. Your experienced Whitaker Auto Repair technician can determine the cause and take the appropriate measures to restore proper brake pad contact. When run out is not detected and corrected early by GRAND ISLAND car owners, the rotor itself can wear unevenly leading to thickness variations. This condition is called parallelism because the inboard and outboard surfaces of the rotor are no longer parallel. The variations are small, measured in 10 thousandths of an inch, but they can significantly affect braking performance because of limited brake pad contact. This condition used to be referred to as “warped” rotors, but that term is inaccurate. If the rotor is still thick enough, your Whitaker Auto Repair brake technician will correct the underlying run out problem and resurface the rotor to restore the contact surface. If the rotor is severely worn it must be replaced. So, if you hear a grinding sound when you brake, get your brakes reviewed as soon as you can to avoid possible rotor damage. With run out and parallelism, you may feel a pulsation in the pedal as you brake. If you feel a pulsation or if your pedal feels unusually soft or hard, bring your vehicle in for a diagnostic examination. A qualified Whitaker Auto Repair brake technician using quality brake parts can get you safely running – and stopping – as soon as possible. Your brakes are extremely important as you drive around GRAND ISLAND NEBRASKA. Having good brakes just keeps you out of trouble. You’ll want to carefully maintain your brakes. With disc brakes, brake pads rub on a disc – or rotor – to slow the wheels. If you hear squealing or grinding when you use the brakes, have your GRAND ISLAND NEBRASKA service advisor check them out. He’ll have a technician perform a thorough brake inspection to see what needs to be done. He’ll check for signs of brake problems and go over other brake components to see that they’re working properly.